The Best Tour Company In Costa Rica. 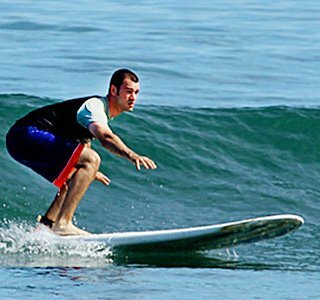 Adventure Tours Costa Rica is the country’s most reputable tour provider and travel agency for Costa Rica tours. We have toured and studied the intricacies Costa Rica to provide our clients with the most in-depth information on where we call home – Los Suenos Costa Rica, and Jaco Costa Rica. The following is a brief description of the country, our favorite places, and a bit about what we do. Costa Rica--officially called the Republic of Costa Rica-- is located in Central America and bordered by the Caribbean Sea and the Pacific Ocean. The country offers a rich history that reveals evidence dating back 10,000 years. The country's first major export, coffee, became a prominent source of economic wealth and continued to be the main source of income for the country into the 20th century. Today, ecotourism, backed by the country's strong environmental stance, is the country’s most significant source of economic growth and income. 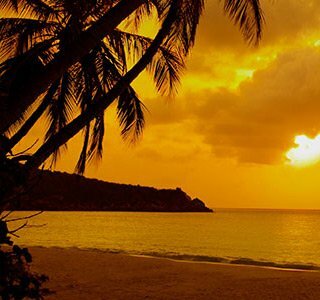 The laid-back lifestyle, flavorful cuisine, sandy beaches and prolific wildlife make this unique country a coveted destination. Costa Rica's tropical climate and beautiful landscape attract people from around the globe. People who seek out the beauty of a tropical location's flora and fauna will enjoy all of our Costa Rica tours. Our Costa Rica tours deliver a range of accommodations and packages. Jaco Costa Rica is a popular destination for frequent visitors, as well as people new to the Costa Rica experience. Jaco Beach is located on the Pacific Coast at is roughly 1.5 hrs from the primary airport and the capital, San Jose. If you plan to visit Jaco Costa Rica, you will enjoy the small town atmosphere, the 2.5 mile long beach and the excellent surfing. Jaco offers a range of exciting attractions. If you enjoy an adrenaline rush, consider taking a jungle crocodile safari. Visit the river and witness a range of wildlife including reptiles in their natural habitat. If you prefer a more grounded approach, consider taking a horseback tour. Horseback riding allows you to experience Costa Rica's beautiful landscape teeming with wildlife in this lush natural setting. No visit to Jaco Costa Rica would be complete without enjoying South Jaco Beach. This sandy stretch delivers a laid-back atmosphere and great beginner surfing wave that many people seek. At just three miles south, the experienced surfer will enjoy Playa Hermosa--a famous beach seemingly designed by nature to meet the needs of the most discriminating surfer. While the beach's waters are not ideal for the beginning swimmer, experienced swimmers and surfers will appreciate the strength of the surf. The town also offers world-class accommodations that boast luxury amenities. Our customers select from Jaco condos, vacations rentals and hotels. We offer properties located steps from Jaco beach or hotels with both oceanfront and rainforest views. A relatively new resort community, Los Suenos Costa Rica offers luxury and convenience. Recently rated a top resort by Travel & Leisure Magazine, Los Suenos Costa Rica offers the most discriminating traveler a luxury oasis, exciting activities and exquisite dining. 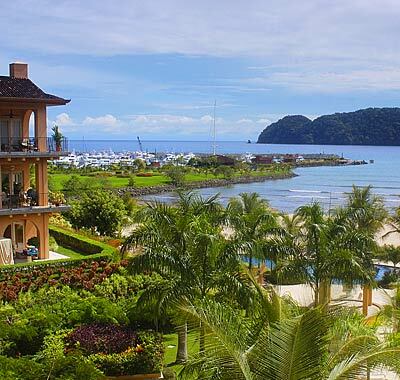 The Los Suenos Marina boasts a fine collection of luxury yachts. The Marina also offers a 200 slip dock and 94 additional rack spaces, making it the largest privately owned dock in the Central Pacific. The Los Suenos fishing sportsman will enjoy access to several fishing events. Los Suenos hosts the Signature Billfish Series and the Annual World Billfish Series Championship. In addition to world-class fishing opportunities, Los Suenos also offers La Iguana golf course, a meticulously designed signature course that provides the golfing enthusiast with breathtaking views, well-manicured terrain, and a rainforest full of spectacular wildlife and fauna. You will enjoy access to exquisite dining venues. El Galeón Restaurant delivers traditional Costa Rican meals and dishes prepared from local ingredients. Satisfy your love of sushi by visiting the Bambu Sushi & Asian Cuisine restaurant. Once you finish dinner, consider enjoying music at one of Jaco's local nightlife venues or unwind after a long day of excitement at the Sibo Rainforest Spa & Retreat. Go for a hike in the cloud forest. Visit Monteverde’s unique climate, breathtaking views and amazing adventure tours. Visit a volcano. 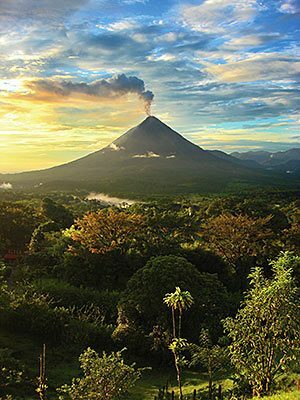 Located in the Arenal Volcano National Park, the volcano is one of Costa Rica's most impressive features. You can enjoy a range of activities in the immediate area, including hiking, white water rafting and canopy tours. 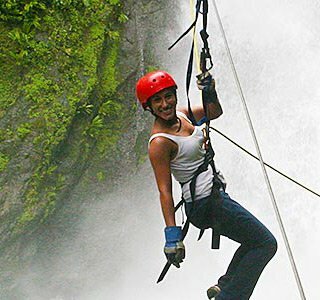 Adventure Tours Costa Rica offers a wide selection of adventures and Costa Rica tours. We deliver packages that accommodate singles, couples or families and we strive to make each experience memorable and unforgettable. Adventure Tours Costa Rica has over ten years of experience in the industry, which places our services in a unique position to tailor a package that exceeds each customer's expectations. Located in the heart of Costa Rica's most popular destinations, we provide unmatched expertise in Costa Rica vacation planning. Contact us today to explore all our Costa Rica tours and packages that promise a lifetime of memories.